Do you really love living rooms that are airy and light but children or pets make that impossible? Well, this is not actually a necessity. 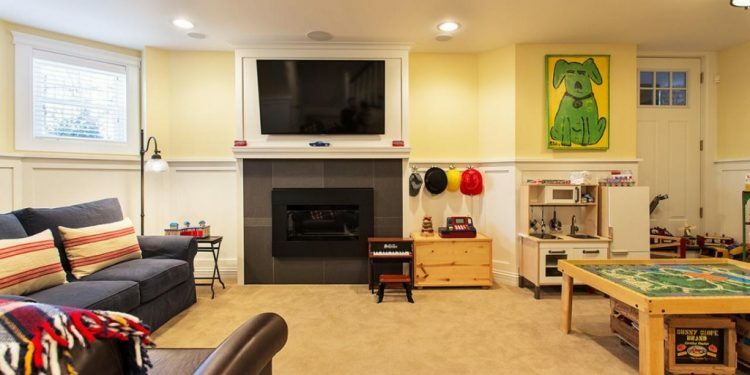 The living room does not have to be horrible in order to become child proof. It can still look completely stunning. Use durable and patterned upholstery – White couches are quite unforgiving. Simply do not use white in areas where children spend a lot of time. Avoid glass tabletops – They are dangerous and fingerprints are hard to clean. Try using an ottoman or a tray. They can easily double as a coffee table and you would have some extra storage to hide the clutter that appears with children. Use area rugs – Beige does work great in many homes where children love to play in the living room. The great thing with them is that they can be great as cushioning when toddlers learn how to walk and oriental rugs will be great because of their bright colors, classic style and durability. Tip-Proof Tables And Furnishings – Tip-proofing does not need to look horrible. Your furniture should always be anchored to the walls. Choose Living Room Furniture That Is Safe – Furniture corners have to be soft in order to avoid accidental bruising and injury. Rounded corners are normally great and can be adapted to all interior design styles. Protruding edges should be avoided at all costs. Use slipcovers – They can be great when you have upholstered furniture. You will save money and the price tag is normally under $100. Declutter – Clutter is not only dangerous, it also looks bad in your living room. Try to avoid the large accessories and the glass vases as much as you can. They can easily lead to accidents and spills. You can add decorative shelving and similar elements. Just make sure that they are at a suitable height. Whenever you child proof your living room and you have children, it is important that you keep them safe from potential dangers and that you do not sacrifice quality. Use your common sense. If your home is black and white based or the color palette is easy to be affected by kids, make some modifications. It is not at all difficult to maintain style.